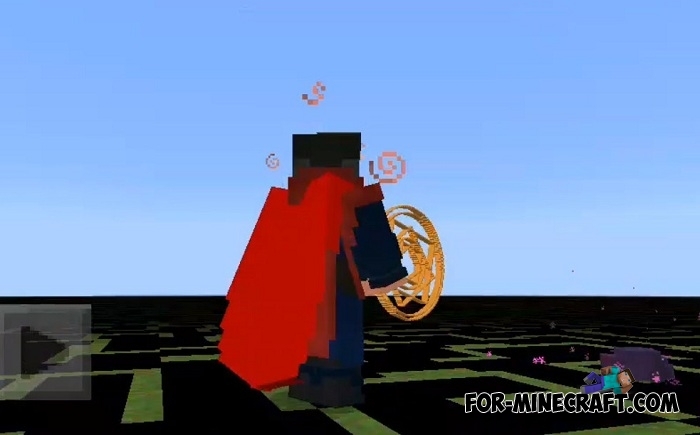 This is a separate addon that turns the player into Dr. Strange and provides new items. It is associated only with Dr. 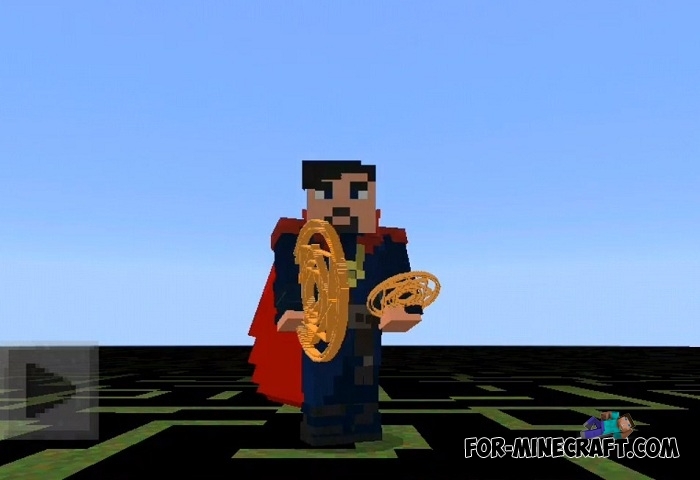 Strange and adds nothing more so if you are looking for all the marvel heroes then you should definitely download the Avengers addon containing all the Infinity War characters. Cloak of levitation - it is a little different from what is shown in the movie. Wearing the cloak you can fly, not only levitate. The flight effect lasts as long as the cloak is worn. Eye of agamotto - its purpose is also different from the original and it is able to absorb the souls of living beings. Magic circles - There are several types of the circles and they are different in damage. During the attack, you will see the magic circles on the surfaces as well as some particles. 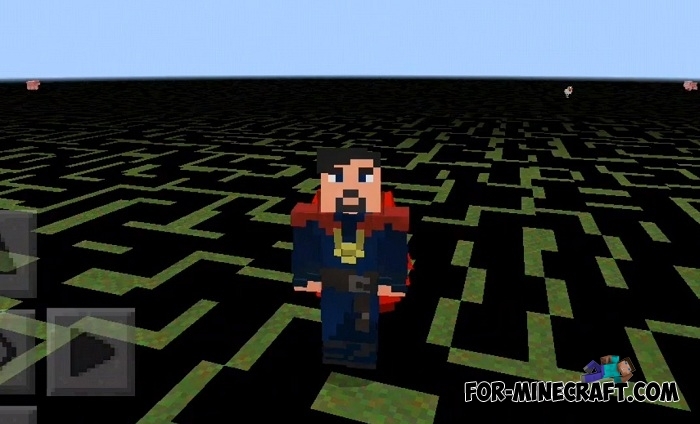 Anyway, the Dr Strange addon is a great parody of the movie especially when your character has put on a levitation cloak and also holds magic circles in his hands. 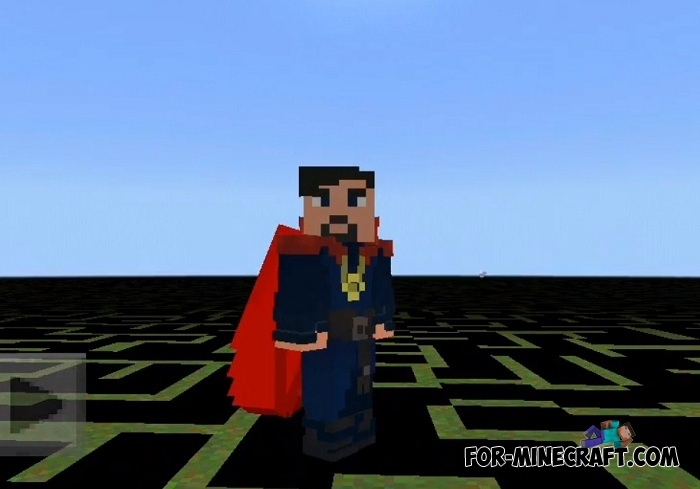 How to install the Doctor Strange addon? 1. Open the file (.mcpack) using Minecraft Bedrock. 2. Activate the addon (world or game settings). 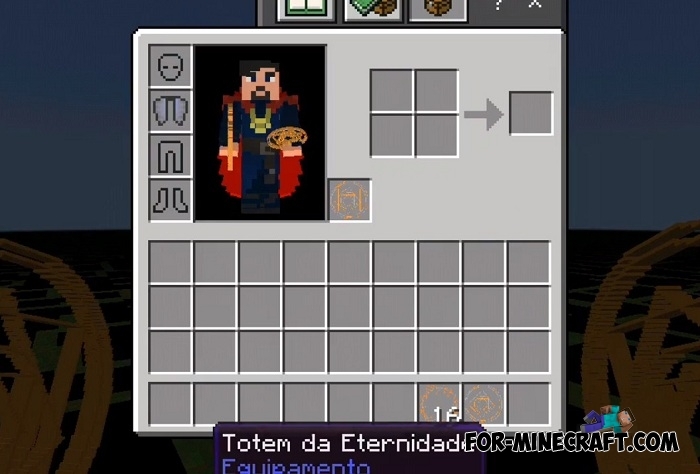 Avengers: Infinity War for MCPE 1.2/1.5As for the Avengers: Infinity War addon, it brings the main superheroes who were involved in saving the Earth..